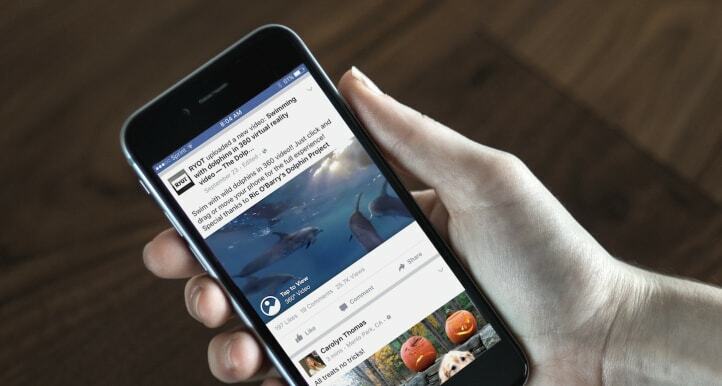 Facebook rakes in more than 8 billion video views on average every day. While advertisers have complained about the 3 minute video view count, at the same time Facebook has been a hunting ground for amateur or user-generated videos on its platform. But over the months the networking giant has worked quite aggressively in building its video offering, working hard on solving two major issues related to videos, thereby posing a stiff competition to Google’s YouTube, the grandfather of video social networks. 2016 will be dominated by videos, while Facebook is working to make the platform better and keep advertisers happy too, Anaid Gomez-Ortigoza, Product Manager has written a blog post, highlighting few tips how video publishers can make the most of the video tools available to Pages. The blog post that provides ten tips starts like scheduling videos to be in sync with the content calendar, adding captions to tell the story, the importance of the video library, managing video distribution settings with video library, among others. Out of the ten – the major ones that every video publisher should take note are – adding captions, monitoring retention graph and tracking the engagement metrics. Adding captions is quite important since videos on Facebook autoplay in News Feed without sound, it’s important to think about how to tell your story without sound. “In some cases, we’ve seen publishers provide text overlays and banners to keep viewers engaged even with muted audio, while others have experimented by narrating data points and statistics with moving graphics and images,” writes Anaid. This blog post comes right after Facebook reluctantly made a global roll out of the option to bid for 10-second video views on a cost-per-view basis. “Cost-per-view (CPV) bidding is now available to all advertisers globally and is designed for those who value price certainty for video views or value video views as their primary performance metric,” said Facebook. Nonetheless, Facebook has given in to the rational demands of advertisers.